A handy ebook listing all the record collections released from January 2011 to March 2019. Irish genealogy gained a reputation long ago for being a frustrating one-way street to disappointment and headache. 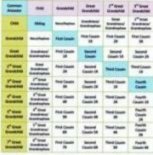 Thankfully, calming potions and analgesics are no longer essential equipment for the amateur genealogist because family history in Ireland has entered a golden era. More and more records – many of them free – are now available online and offline. So, if you've been longing to find out who your ancestors were, and how they lived, there's never been a better time to start looking. You do, however, need to look with some care! With the independent advice available on this site – all of it provided absolutely free and without favour to any organisations or service providers – you can avoid the pitfalls. No matter where in the world you now call home – whether it be the Canadian Rockies, the Australian Outback, one of the world's great emerald cities such as Liverpool (UK) or Boston (USA), or the beautiful craggy coast of Donegal – you'll find page after page of relevant advice on this website plus the very latest information on genealogical resources in Ireland. Take a look around by clicking on the images above or in the dropdown menus just below the header picture. You'll soon see this isn't just another website listing hundreds of genealogical databases (although I'll show you where to find the best), nor will it attempt to sign you up for unnecessary subscriptions or commissioned research. You'll find all the information and contacts you need to help you to discover your heritage in Ireland. Whether you're just starting out on your family history search or you've already made some headway on your journey, Irish Genealogy Toolkit will lead you to a greater understanding of how your ancestors lived and where you come from. Tap to find out more on the Special Offers page. Thanks to some of the genealogy resources that have become available in recent years, I've managed to trace my Irish roots back to 1723 on my maternal line and to 1775 on my paternal line. Not bad for a supposedly impossible exercise, eh? 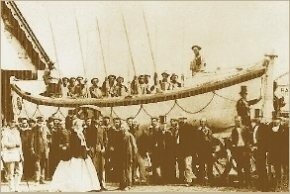 Among the family I've discovered is my 3 x gt grandfather, Edward Doolittle, seen below at the launch of the 'Robert T Garden' lifeboat in Wicklow in 1866. Born in 1812, Edward was a master mariner. owner of a few schooners, coxswain of Wicklow lifeboat and Wicklow Harbour Master, the latter a position subsequently held by several of his sons. 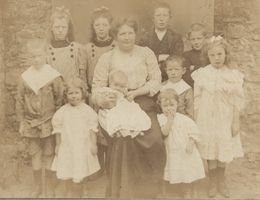 His grand-daughter is the woman (Sydney Doyle) at the top of the page, photographed with her ten children in Bagenalstown, Co Carlow, in 1909. That's my Nana on her lap. Along my ancestral trail, I've extended my understanding of Ireland's social and political development, picked up a bit of Latin, learned to decipher 18th and 19th century handwriting, been riled by many historical injustices, and stood and stared at the very same gentle hills and dramatic seascapes that my ancestors stood and stared at. It's been fascinating and rewarding – and there's still plenty more to learn and experience. This website is my chance to share the knowledge I've gained with others who want to discover their roots in the Emerald Isle for themselves. When relevant, I'll be using my own ancestors' records to demonstrate certain Irish family history research methods or to highlight the value or the quirks of individual genealogical resources, but I'd love to hear about your ancestors, too, and how you tracked them down. If you've a tale to tell, please contact me. The short answer is 'No', but the truth is a bit more complicated, because much of Ireland's genealogical heritage did, indeed, go up in flames at the Public Records Office in June 1922. 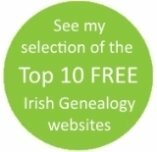 Your site is a godsend, with everything I would like to know about starting Irish genealogy. Thanks for a wonderful informative site. K.C., Australia. Many, many thanks for your website & blog, and for all of the great resources & advice you offer. C.C., USA. My family history is started, at last, thanks to your guidance. K.J.B., UK. 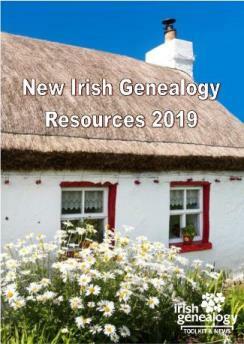 If you're serious about your family history research, you'll find 'New Irish Genealogy Resources 2019' indispensable. This handy ebook lists all the record collections released from January 2011 to March 2019. These won't be the first records you turn to, but for advanced family historians this collection can illuminate the characters and lives of our ancestors. Glasnevin Trust has a database of 1.5m burial records. Find out more in the A–Z section of this website.